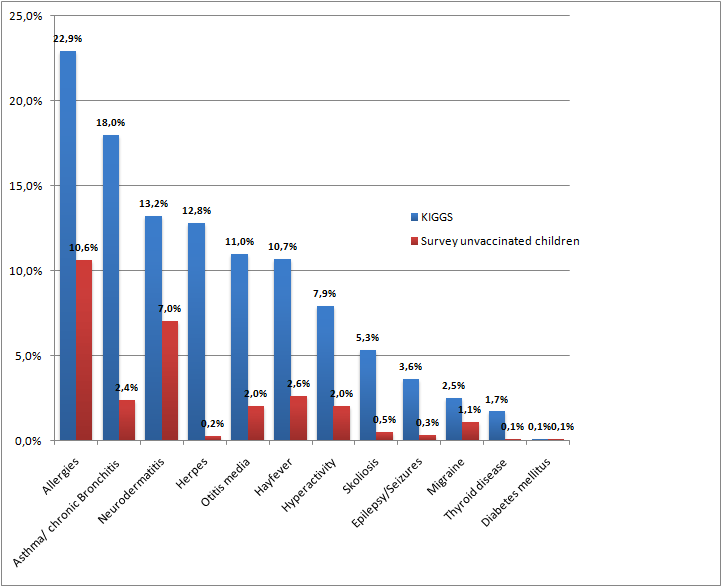 The results are presented in the bar chart below; the complete data and study results are here . 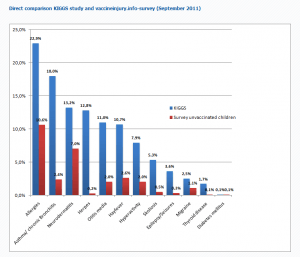 The data is compared to the national German KIGGS health study of the children in the general population. Most of the respondents to the survey were from the U.S.
Download and read the IAS1992study  now.